When couples separate or divorce, or where they face issues concerning the care of their children, they may wish to consider entering into Mediation rather than instituting legal proceedings. 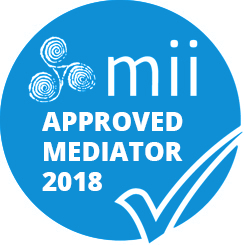 Mediation can play a vital role in helping families cope with issues around divorce, separation, access, maintenance, guardianship and any other contentious family matters and more and more families are finding it provides the ideal platform for them to move forward. Mary Cashin is a trained All Issues Family Lawyer Mediator. She is a Certified Member of The Mediators Institute of Ireland and of Resolution (UK). As a Mediator she is trained to help separating couples reach agreement about how to make the best arrangements for the future in a constructive and non-confrontational way. In this capacity she acts as a neutral and impartial facilitator, uniquely informed by her extensive experience as a family lawyer and her understanding of the legal process. Why choose family law mediation? Family Lawyer Mediation can help you both resolve disputes and difficult issues between you without the necessity of getting involved in court proceedings. Family Lawyer Mediators are trained to help people resolve disputes in a constructive and non confrontational way. Family Lawyer Mediators are neutral and will not take sides. Family Lawyer Mediation can help avoid the substantial costs of Court proceedings.